Following what can best be described as a fantastic start to the summer, it is that time of year again when the decorations come out, the mistletoe is hung up and our wallets shrink! For many of us it is time to head away cruising, or on holiday, while other intrepid members will be spending Christmas Day getting ready for the long haul from Sydney to Hobart which starts on Boxing Day. Sally, far right, with her YNZ Service Award with other award winning RAYC members. Firstly, I would like to thank all our club volunteers and the Royal Akarana staff for their endeavors during a challenging year of change. Without our volunteers we would not have the great activities we currently have. I would particularly like to thank Vice Commodore Steve Delahunty and Volunteer Coordinator Helena Horsewell, who stepped up this season to fill the roles I had been doing for the last few seasons. And also thanks to Suellen, Andrew, Shelley, Naomi and Kerry for all their hard work and support. Thanks must also go to our wonderful sponsors. We are very lucky to have such great sponsors who support an array of actives and events at the club. 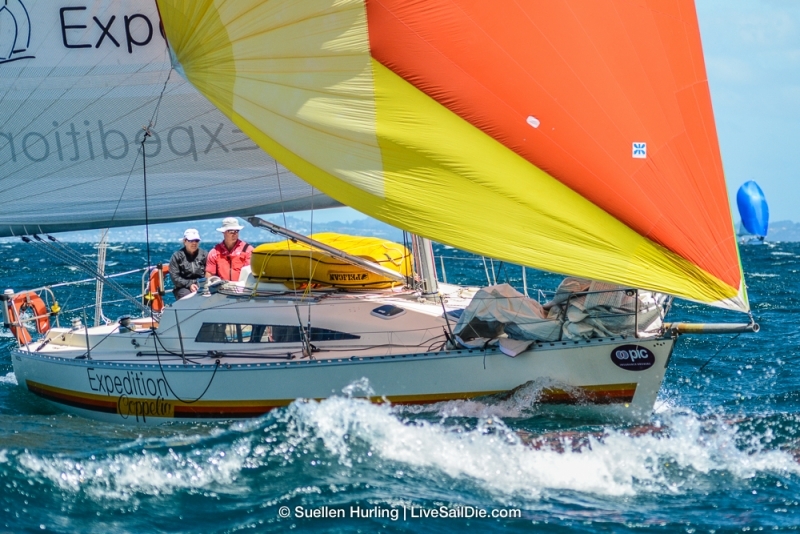 Thank you so much to Hyundai NZ, PIC Insurance Brokers, Burnard International, The Boat Builders Half Moon Bay, Urecel QuickDry, BoatSpray, ANZ and Hyundai Seasall. 2017 will be a very different year at RAYC. Instead of talking about it, construction of our new building will commence and we will be based at the eastern end of the ramp at Auckland Sailing Club during that time. Now that the process is firmly underway the focus of the General Committee has squarely aimed on redeveloping the RAYC member community. 2017 will be about ensuring we get the basics right, good on water activities, hot water and opportunities for members to connect. Sally checks out our new green tractor! Finally, I ask each of your to reflect on your experiences at the club this year. As Commodore, I would appreciate feedback, ideas and any grand schemes on things you would like to see the club improve on or try to achieve in the new year. Please feel free to contact me via commodore@rayc.co.nz. Merry Christmas, Happy New Year and I wish you all a safe and restful holiday season. Header Image: Sally sailing “Expedition Coppelia” with sailing partner Rob Croft during the 2016 PIC Coastal Classic.